Former Trump lawyer Michael Cohen pleads guilty to breaking campaign finance law "at the direction of a candidate for federal office". Michael Cohen, who worked for years as President Donald Trump’s personal attorney, on Tuesday pleaded guilty to charges of bank fraud, tax fraud and campaign finance law violations. 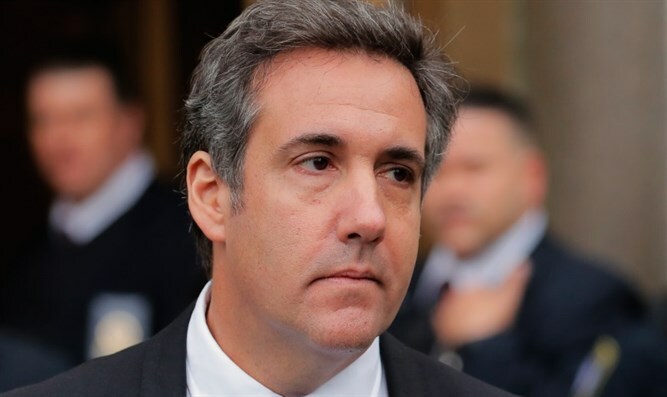 The guilty pleas followed numerous reports earlier on Tuesday that Cohen is considering a plea deal with prosecutors in New York on charges of tax-fraud and other financial offenses. Cohen pleaded guilty to eight counts total, including five counts of tax evasion and one count of making a false statement to a financial institution, according to The Hill. The $130,000 payment to Daniels, whose real name is Stephanie Clifford, was completed just weeks before the 2016 election. Clifford is now suing Cohen and Trump for defamation and to void a non-disclosure agreement about the affair, according to The Hill. While not specifically naming Trump, Cohen said in the plea deal that "in coordination and at the direction of a candidate for federal office" he kept information that would have been harmful to the candidate and the campaign from becoming public. While Cohen’s deal does not include an agreement to cooperate with prosecutors in the Southern District of New York, where he was charged, it also does not explicitly rule out the possibility of cooperating with special counsel Robert Mueller in the federal investigation into Russian interference in the 2016 election, The New York Times reported. However, sources told CNN that Cohen is not cooperating with the Russia investigation and is only seeking to avoid the "spectacle" of a trial by pleading guilty. Cohen was once one of Trump's closest confidants, and said last September he would “take a bullet” for the president. He spent years working for the Trump Organization, and until recently served as the deputy finance chairman of the Republican National Committee (RNC). Cohen has been under legal scrutiny since early April, when federal agents raided his office, home and hotel room and seized thousands of documents and electronic files.